"Exxon is actively divesting in Nigeria," agency report quoted one source who was briefed on the divestment plans as saying. 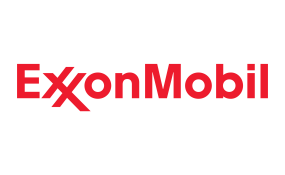 When contacted, the spokesman of Mobil Producing Nigeria (MPN), a subsidiary of the company, Mr. Oge Udeagha, told THISDAY yesterday: "ExxonMobil is committed to its long-term business operations in Nigeria. As a matter of practice, we don't comment on business discussions." Exxon's share of oil production in those fields reached 120,000 bpd in 2017, the last year for which data was available. The payments formed part of the four documents released yesterday by the Group Chief Executive Officer of the Royal Dutch Shell, Ben Van Beurden, to signal the global oil giant's renewed commitment to greater transparency. "Shell must remain at the forefront of the drive for greater corporate transparency. We will continue to be more open about what we do and why we do it," Van Beurden said. Managing Director of SPDC and Country Chair, Shell Companies in Nigeria, Osagie Okunbor, described the reports as a further testament to Shell's efforts to increase transparency around activities that are important to investors, governments and civil society. "We are irrevocably committed to transparency just as we are to business integrity part of our core values and central tenets of the business principles that govern the way we do business." While the country's output was down by around 112,000 bpd from the October 2018 level, Russia has pledged to cut its oil output by 228,000 bpd from that level.